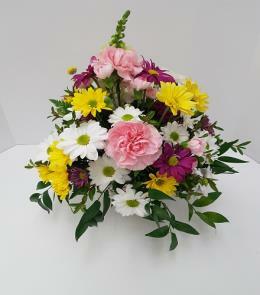 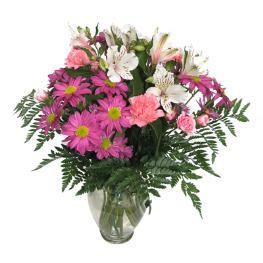 The Pink Posh Bouquet is chic and pink to help you celebrate life's most treasured moments in style! 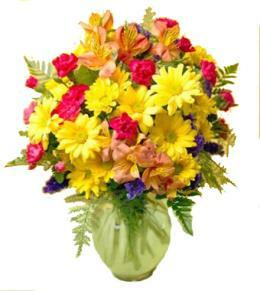 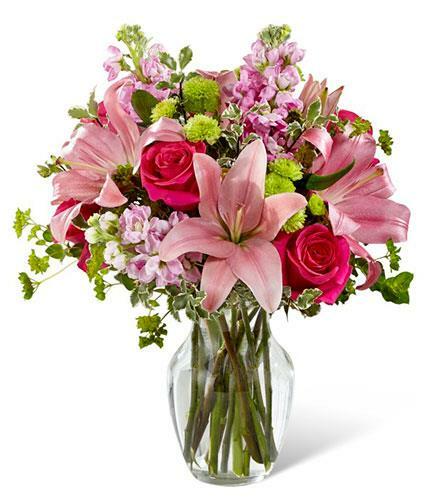 Pink roses are bright and beautiful arranged with pink Asiatic Lilies, pink gilly flower, green button poms, bupleurum and lush greens to create that perfect gift of flowers. 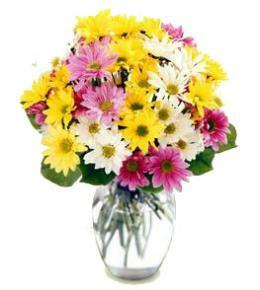 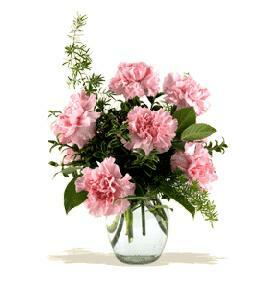 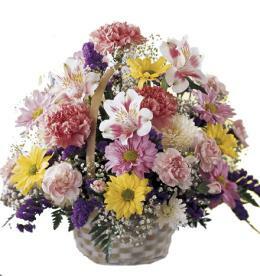 Hand arranged in a clear glass vase, this blushing fresh flower arrangement is ready to send your best wishes in honor of a birthday, an anniversary, or as a way to express your thanks and gratitude Featured Floral Selection - Pink Posh Vase Bouquet B08.